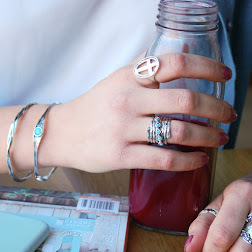 Bling in Spring with our newest collection! Grab your girlfriends, some amazing deals and check out some Longmont hot spots! This is going to our BIGGEST sale ever! We will have samples at 50% off! 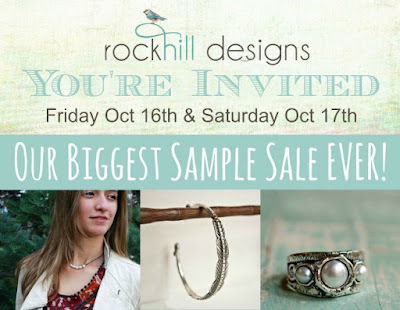 AND a $100 RockHill Designs Gift Certificate giveaway! There will be snacks, coffee and morning mimosas! As promised, here are some other cool places in Longmont and beyond! Prospect New Town From barbeque to fine wine, there's several options here. One of my favorites is UrbanThai open for lunch only on Fri. and Sat. There are also some shops to check out, such as Nest Antiques and Gardens. Love antiques and vintage items, stop by and check out The Front Range Mercantile. My white porcelain hands for displaying rings were found here! We are located only 12 miles from the cute town of Lyons and those of you who want to hit a trail Rocky Mountain National Park is 35 miles away. Niwot is only 5 miles away with Rockin' Robins Retro and Retail Shop and some great lunch options too. This is not by any means a complete list, but some of my favorites to share with you! We are very excited to share some warm hospitality with our RockHill friends and family. Your support of our small family business means the world to us- Thank YOU! For those of you this email has reached that are out of town, my apologies. We will be having an online sale of some sort the same weekend-stay tuned! © 2009-2014 RockHill Designs | All Rights Reserved. Simple theme. Powered by Blogger.